My name is Letitia. 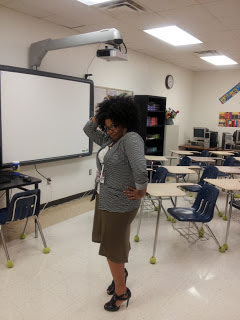 I’m from Baton Rouge, Louisiana but currently live in Atlanta, GA as a high school English teacher. I’m 29 and turning 30 this August. I was born with a head full of hair. My mother told me that I had hair that grew around my ears and over my knuckles…as a newborn. Eventually, it thinned out (thank God) and I just had this thick hair that no one knew what to do with (hmm…”with which no one knew what to do.” Sorry… #Englishteachergameproper). I remember vividly at 8 years old going to the pool, and leaning my head back in the water just because I liked when it got really big, and my sister being depressed. When we got back in the house, it took her upwards of 5 hours to comb my hair out of the curly, matted mess it had become. I normally wore my hair in plaits or twisted ponytails (on special occasions having two big twisted ponytails on either side of my head at the top with my hair hanging free in the back. Oh yeah…I felt grown then!) Around the 5th grade, I really wanted my hair to hang free. I started petitioning my mother for a relaxer. She said no. I asked again. She said no. I got my sister on my side (I used the pool catastrophe of two years earlier as evidence. I was a Great Debater even then). My mom said…not yet. Score. I felt like Urkel and Laura, “I’m wearing you downnnnn!” Finally, she gave permission. I was so excited! I felt the coolness of the relaxer give way to the slow burn…a sign it was “ready”. My hairdresser rinsed it off, and I snuck my hand to my head when she wasn’t looking. It felt silky smooth, and I was elated. My long hair reached down my back. And I hated curls. I wanted it bone straight, and long. 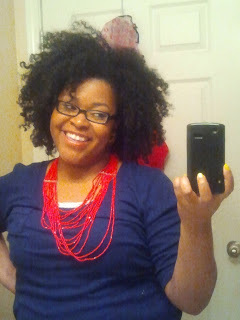 I’ve been natural for a little over 3 years. 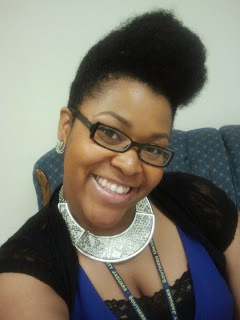 I define starting my natural process as the day after my last relaxer…when I started growing out my natural hair. 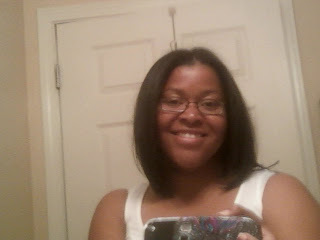 My last relaxer was the beginning of April 2010. Atlanta is Natural Hair Mecca it seems. I met more and more people with natural hair, and while I thought their curls and coils were cute, I didn’t think it was for me. I was, however, intrigued by people who had straightened natural hair. It was thick and voluminous! I considered laying off the chemicals only so my long hair, that had ultimately started to seem thinner, would be thicker. I played around with the idea in my head. In February of 2010, my then-boyfriend broke up with me. Out of nowhere. Just because. With a Kanye shrug. It was the week before our 5 year anniversary, and I was crushed. Heartbroken doesn’t begin to describe it. I was in this city and state alone. I had made some friends, and even gotten custody of one mutual couple, but my best friend and family were worlds away. He ultimately came back and said he wanted to see if this was really what he wanted to do. I didn’t relax the entire time, starting in January. 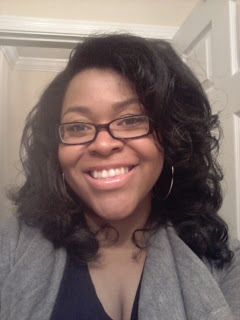 I tried to keep myself busy with work, makeup appointments, school (I was getting my Masters), and social engagements. In April, my ex and I were meeting up to discuss what we were going to do. I got a relaxer. I realize now that I wanted to look “my best”…or at least my perception of it. He ended it anyway. That moment, I decided I wasn’t getting another one. It could have been a Waiting to Exhale-esque decision, or one that said no longer was I doing what I thought would look good to other people. Either way…no creamy crack was coming nigh my dwelling! I transitioned for over a year. 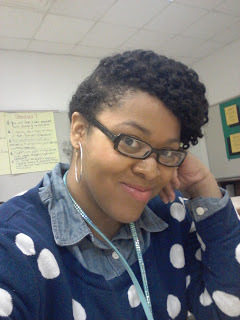 I’d always had long hair, so I didn’t want to deal with the shock of a twa. 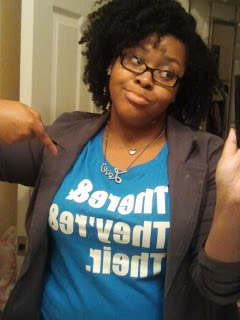 And I decided I didn’t have to, lol. 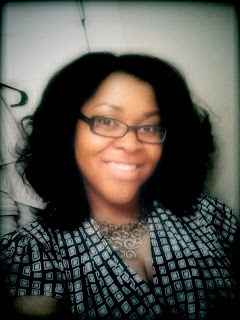 Also, at first, I only wanted my straight hair to be thicker, so I flat-ironed exclusively for the first 3-4 months. 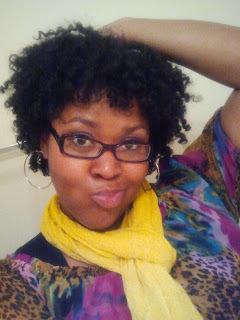 Even when I chopped, I kept some relaxed hair on the front so I could keep the cut and style that I wanted. The most memorable part of my journey was the first moment my hair hit the water after most of my relaxed hair had been chopped off. See, I thought I knew my curls. I had been dealing with them for almost a year (so it seemed). 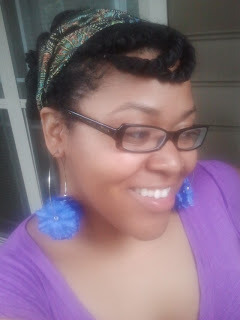 Once that relaxed hair wasn’t weighing them down, they tightened up so much. I was literally in my bathroom like, “What. In. The. Entire. Crap.” LOL! Another was around the 9 month transition mark when I almost relaxed it all. I had gotten so frustrated. My hair didn’t look good. I wanted some normal. A friend gave me advice that helped me not turn back: “Straighten it. Trust me. If you’re transitioning and are getting that itch, go get it straightened. It’ll give you some time to work with what you know, regroup, and give it a go again in about 2 weeks.” Everyone might not agree with it, but it stopped me from relaxing. I was also uncomfortable with my short curls and would have to stretch them before I liked them. I love the old pictures now, but hated them then. 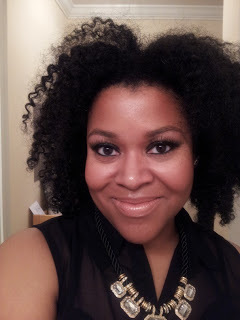 As I transitioned, especially when my relaxed ends were breaking, I loved braid and curls! It made sure I had similar texture throughout. 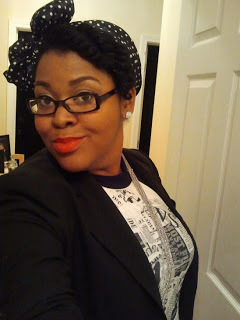 I also liked textured updos…I could show off my texture and hide my relaxed ends. 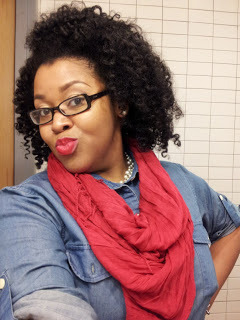 Currently…twist outs and braid outs are my staple! I very rarely do wash and go’s…and I hate bantu knots. I cannot figure those things out, so I quit them, lol. I still straighten from time to time as well. Usually about twice a year. Or use curlformers for stretched curls. My family has been understanding for the most part. 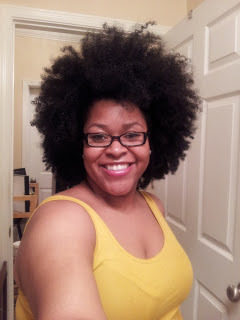 My cousin went natural a few years before me, so she absorbed most of the “shock” comments. My mom likes my hair, but doesn’t understand how it’s different from her relaxed hair. She tried to brush it when my back is turned, and I have to jump out of her grasp. She also asks to “grease my scalp”. Good ole’ mom, lol. Pre-poo (when I remember) with Aubrey Organics Honeysuckle Rose Conditioner either alone or mixed with Olive Oil and honey, and I use my hair therapy heat cap for about 20 minutes. I will use either Shea Moisture’s new Co-wash, As I Am Naturally Coconut Cleansing CoWash, or Trader Joe’s Nourish Spa Shampoo to cleanse. I wash my hair in sections (usually between 4-6), after I finish each section, I’ll put a conditioner on it and twist it back up. Maybe Herbal Essence Hello Hydration, or Trader Joe’s Nourish Spa Conditioner. Sometimes I’ll do a castor oil rinse right before the conditioner for added moisture. To detangle, I use my fingers and a conditioner with slip (normally Herbal Essence Hello Hydration, or Suave Naturals Conditioner). I’ll use natural 85’s oil blend after I rinse the conditioner out of my hair for added slip and shine. If I’m deep conditioning, I use Karen’s Body Beautiful deep conditioner. Once out of the shower, I use a plain cotton t-shirt to soak up some of the excess water. I’ll leave it on for at least 10 minutes. My twists are medium sized to large, so roughly 10-20 twists for my head. I put an oil on my hands to pull the twists apart, and then separate even more for volume. I use a pick for added volume, and there we go! 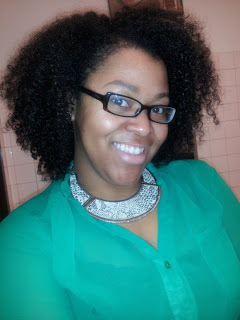 My favorite website is CurlyNikki.com…hands down. 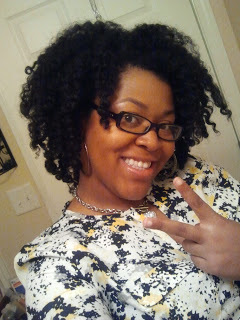 My favorite YouTubers are Naptural85, , MahoganyKnots and HairCrush (Chime Edwards). My new favorite is eclark6…I just discovered her recently on Instragram, but her hair and I might go together, lol. I like a lot of other’s, but as staples, I watch these lovely ladies. It’s YOUR hair. YOURS. No one else’s hard and fast rules have to be yours. Hair laws and hair police can have several seats. This is not to say that all “hair laws” are bad; neither are all hair experiments good (looking at you, bantu knots). I’m saying it’s your hair discover. Have at it, and have fun! On both Instagram and Twitter: @TeachingClass. My friends and I are in the beginning stages of a blog: HersHersandHers.wordpress.com We’re hoping to have it fully launched soon!